Dr. Yehoshua (Evsey) Neymotin, whose father and grandfather served as faithful frontline soldiers in the spiritual battlefield behind the Iron Curtain, passed away earlier today. He was 75. Neymotin was both the son and grandson of devoted Chabad-Lubavitcher chassidim, faithful followers of the sixth Rebbe, Rabbi Yosef Yitzchak Schneersohn, of righteous memory, and his successor the Rebbe, Rabbi Menachem M. Schneerson, of righteous memory, and himself maintained a long relationship with the Rebbe both during and after his time in the Soviet Union. 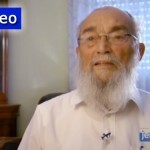 Neymotin was born on Feb. 24, 1943, in Alma Ata, Kazakhstan, where his father R’ Yosef Dovid Neymotin and his grandmother had been exiled following Joseph Stalin’s 1937 arrest and execution of R’ Yosef’s father, R’ Shmuel Neymotin. R’ Shmuel was brutally beaten and tortured before being shot and buried on the outskirts of Leningrad, today S. Petersburg. In 1939 Rabbi Levi Yitzchak Schneerson, the Rebbe’s father, was exiled to the distant and dusty village of Chi’ili, Kazakhstan, where he was joined shortly by his wife (the Rebbe’s mother), Rebbetzin Chana. The village, home to only ethnic Kazakhs and thus no other Jews, was frigid in the winter and scorching in the summer. 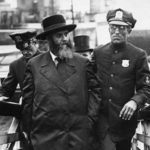 Finally, towards the end of his life, an ill Rabbi Levi Yitzchak was allowed to relocate to the Soviet republic’s capital city of Alma Ata. There the great rabbi and kabbalist was cared for by, among others, Dr. Neymotin’s father R’ Yosef, who also took part in preparing Rabbi Levi Yitzchak’s body to be buried after the latter’s passing, later assisting Rebbetzin Chana in safely leaving Alma Ata and making it to Moscow during her escape from the Soviet Union. For the next three decades he cared for Rabbi Levi Yitzchak’s resting place and Ohel, making sure it was clean and befitting the man. 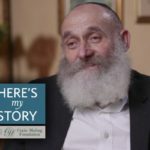 R’ Yosef and his wife Tzilya later built a mikvah in their home, which was used by Jewish women locally and, being the only mikvah among the three neighboring Soviet republics, by women who flew in once a month. The couple would serve as pillars of Jewish life in Alma Ata throughout the hard decades that they lived there, the bulk of the post-war Soviet era. Their son Yehoshua received a PhD in physics and became a successful nuclear engineer, eventually becoming appointed as dean of Kazakh State University. But Soviet anti-Semitism being what it was, his high position did not stop him from being targeted by his peers and superiors, and he decided it was time, together with his parents, to apply for exit visas. The Neymotins were refused visas by the government for five years, thus becoming Refuseniks, and Dr. Neymotin began considering joining the Soviet Jewry protest movements. 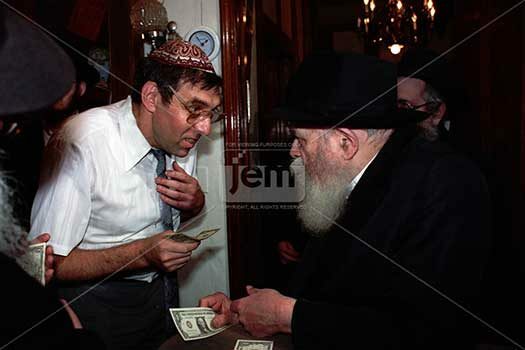 That’s when he received a message from the Rebbe in New York discouraging his doing so. Not long thereafter the Neymotins received invitations to come America signed by Henry Kissinger. Neymotin, who was hospitalized two weeks ago, is survived by his wife Margarita (Chaya), children Ita, Freida, and Benjamen, and multiple grandchildren. The levaya will be held tomorrow, Friday morning. Shomrei Hadas at 9:00AM and passing 770 at 10:30AM with burial at 11:15 AM at the Old Montefiore Cemetery in close proximity to the Ohel and his father’s resting place. Righteous man, righteous family, righteous children. my deepest sympathies.